A team at NASA is to build an integrated photonics modem that that could be a significant step forward in telecommunications, medical imaging, advanced manufacturing and quantum computing. 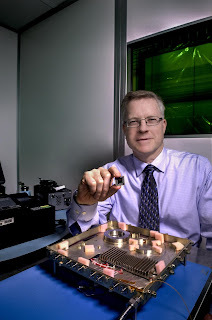 The agency's first-ever integrated-photonics modem will be tested aboard the International Space Station beginning in 2020 as part of NASA's multi-year Laser Communications Relay Demonstration, or LCRD. The cell phone-sized device incorporates optics-based functions, such as lasers, switches, and wires, onto an etched silicon substrate. Once aboard the space station, the so-called Integrated LCRD LEO (Low-Earth Orbit) User Modem and Amplifier (ILLUMA) will serve as a low-Earth orbit terminal for NASA's LCRD using high-speed, laser-based communications. Since its inception in 1958, NASA has relied exclusively on RF links but with higher data rates than ever before, the need for LCRD has become more critical, said Don Cornwell, director of NASA's Advanced Communication and Navigation Division within the space Communications and Navigation Program, which is funding the modem's development. LCRD promises data rates 10 to 100 times faster than today's communications equipment, requiring significantly less mass and power. The project, which is expected to begin operations in 2019, is designed to be an operational system after an initial two-year demonstration period. It involves a hosted payload and two specially equipped ground stations. "Integrated photonics are like an integrated circuit, except they use light rather than electrons to perform a wide variety of optical functions," Cornwell said. Recent developments in nanostructures, meta-materials, and silicon technologies have expanded the range of applications for these highly integrated optical chips. Furthermore, they could be lithographically printed in mass -- just like electronic circuitry today -- further driving down the costs of photonic devices. This will also be a key enabler for photonics-based quantum computing at room temperature. "We've pushed this for a long time," said Mike Krainak, who is leading the modem's development at NASA's Goddard Space Flight Center in Greenbelt, Maryland. "The technology will simplify optical system design. It will reduce the size and power consumption of optical devices, and improve reliability, all while enabling new functions from a lower-cost system. It is clear that our strategy to leverage integrated photonic circuitry will lead to a revolution in Earth and planetary-space communications as well as in science instruments." In addition to leading ILLUMA's development, Krainak serves as NASA's representative on the country's first consortium to advance integrated photonics. Funded by the U.S. Department of Defense, the non-profit American Institute for Manufacturing Integrated Photonics, with headquarters in Rochester, New York, is developing low-cost, high-volume, manufacturing methods to merge electronic integrated circuits with integrated photonic devices. NASA's Space Technology Mission Directorate (STMD) also appointed Krainak as the integrated photonics lead for its Space Technology Research Grants Program, which supports early-stage innovations. Under the NASA project, Krainak and his team will reduce the size of the terminal, now about the size of two toaster ovens (above). Although the modem is expected to use some optical fibre, ILLUMA is the first step in building and demonstrating an integrated photonics circuit that ultimately will embed these functions onto a chip, he said. "What we want to do is provide a faster exchange of data to the scientific community. Modems have to be inexpensive. They have to be small. We also have to keep their weight down," said Krainak. The goal is to develop and demonstrate the technology and then make it available to industry and other government agencies, creating an economy of scale that will further drive down costs. "This is the pay off," he said. The technology can also be used in the data centre to reduce size and power consumption. "Google, Facebook, they're all starting to look at this technology," Krainak said. "As integrated photonics progresses to be more cost effective than fibre optics, it will be used," he added. "Everything is headed this way." Semiconductor industry spending on research and development grew by just 0.5% in 2015 but was still a record amount of $56.4bn, according to the latest report from IC Insights in the US. This was the smallest increase since the 2009 downturn year and significantly below the compound annual growth rate (CAGR) of 4.0% over the last 10 years, driven by growing concerns about the weak global economy, slumping sales in the second half of the year, and the unprecedented industry consolidation through a huge wave of merger and acquisition agreements. Intel continues to lead all semiconductor companies in R&D spending in 2015, accounting for 22% of the industry’s total research and development expenditures. Following Intel in the 2015 R&D ranking are Qualcomm, Samsung, Broadcom (now being acquired by Avago), and the world’s largest wafer foundry, TSMC. The top five spenders were unchanged from 2014, but below that point, the rankings of most companies were shuffled. Micron Technology moved up to sixth in 2015, swapping positions with Toshiba, which fell to seventh in the new ranking. MediaTek went from ninth in 2014 to eighth place, while SK Hynix climbed from 12th to ninth in 2015. ST slid from eighth in 2014 to 10th in 2015, and Nvidia fell out of the top 10 to 11th place in 2015. The top 10 in the R&D ranking collectively increased spending on research and development in 2015 by about 2% compared to the half-percent increase for total semiconductor R&D expenditures in the year. Combined R&D spending by the top 10 exceeded total expenditures by the rest of the semiconductor companies (about $30.8 billion versus $25.6 billion) in 2015—something that has continued to hold true since 2005. Intel’s R&D expenditures grew 5% in 2015, which is significantly below its 13% average increase in spending per year since 2010 and slightly under its 8% annual growth rate since 2001, the new report says. Underscoring the growing cost of developing new IC technologies, Intel’s R&D-to-sales ratio has climbed significantly, from 9.3% in 1995 to 16.4% in 2010 and 24.0% in 2015. .
With worldwide semiconductor sales falling nearly 1% in 2015 to $353.6 billion and R&D spending rising 0.5% to $56.4 billion, the industry’s R&D-to-sales ratio grew slightly to 16.0% from 15.8% in 2014. Since 2000, the semiconductor industry’s annual R&D-to-revenue ratio has average 16.0%. The new McClean Report forecasts semiconductor R&D spending to grow about 4% in 2016 to $58.9 billion and reach $76.3 billion in 2020, which would represent a CAGR of 6.7% from 2015. A very interesting video of Intel's view of the supermarket of the future. Using the grammar of a market stall, where you point at what you want, the stall recognises the gesture with the Intel'sRealSense 3D camera and pulls up the data about the product, from allergens to food miles. Demonstrated in Italy and built by consultancy Accenture, there's a lot of IoT and big data behind the interface. The X-Gene server-on-a-chip from Applied Micro Circuits has been chosen as the exclusive server platform that will be used to develop UniServer, a universal system architecture and software ecosystem for micro-servers. A custom variant of the ARM instruction set, X-Gene was selected for its ability to serve both data-centre infrastructures, as well as small scale centres. As part of the project, AppliedMicro will develop custom-made platforms based on X-Gene that address the complexities associated with Big Data and IoT applications. The data-center-in-a-box will include a number of key features including extensive debug capabilities, explicit support for voltage setting and pre-core frequency scaling, error monitoring, advanced DRAM capabilities and performance counters. AppliedMicro is joined in the UniServer consortium by partners covering a wide range of scientific, research and engineering expertise, including The Queen’s University of Belfast, University of Athens, Thessaly and Cyprus, Worldsensing, Meritorius and Sparsity. The downturn seems to be hitting ST Microelectronics already with a drop in turnover and profits for the last year. This has prompted the company - one of the leading embedded chip makers - to pull out of the set top box chip business where it once led the world. "After an extensive review of external and internal options for the future of the Company’s set-top box business, ST will discontinue the development of new platforms and standard products for set-top-box and home gateway," said the company. "The slower than expected market adoption of leading-edge products and increasing competition on low-end boxes, combined with the required high level of R&D investment, has led this business to generate significant losses in the course of the last years." The company was once the dominant supplier of STB chips, battling LSI Logic, but has lost out to lower cost suppliers in recent years. It had been using the transputer architecture acquired from UK firm Inmos as the core controller for these chips, but the move to high end 4K and UltraHD systems has not happened quickly enough to save the business unit as highlighted in today's figures. The company saw revenue decline to $6.8bn from $7.4bn last year, with operating profits falling from $258m to $174m, a substantial drop. "ST’s digital business is at the core of the company’s strategy," it said. "It represents a significant share of ST’s revenues and focuses on growing applications, with a portfolio that includes general purpose and secure microcontrollers, digital automotive products, ASICs and specialized imaging sensors." As a result, the company is to redeploy about 600 employees currently associated with the set-top-box business, to support ST’s growth ambitions in digital automotive and microcontrollers. Around 1400 employees will also be affected, with 430 in France through a voluntary departure plan, about 670 in Asia and about 120 in the US. The company had closed is set top box development activity in Bristol, UK, back in 2014. This will cost $170m but save $170m a year. Sony may have been selling off parts of its semiconductor business over the last few years, but it is back on the consolidation trail with a key buy of wireless innovator Altair Semiconductor. Altair, based in Israel, originally started developing WiMax chipsets, but moved to 4G when WiMax stalled and 4G LTE took over. With 4G well established in silicon, the focus now is on 5G specifications, which include 10Gbit/s download speeds and a challenging 1ms round trip link latency that is aimed at devices in the Internet of Things (IoT). Both these specifications are music to the ears of Sony, which is looking to combine the bits of its semiconductor business it kept - CMOS image sensors and GPS navigation chips - with wireless links, and Altair has truly leading edge expertise in these areas. The current 4G modem chips and software stand out for their low power consumption, high performance and competitive cost. The $212m Altair deal is expected to complete quickly, closing in early February. This is a lot quicker than the re-structuring of its own electronic component business, which is due to complete in April this year. This brings together the semiconductor, battery and storage technologies into Sony Semiconductor Solutions. 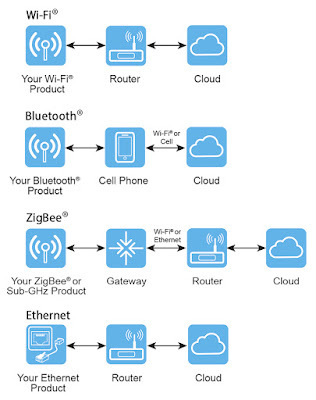 This is part of Sony's vision of more and more "things" equipped with cellular chipsets in a connected environment in which "things" can reliably and securely access network services that leverage the power of cloud computing, it says. It is aiming not only to expand Altair's existing business, but also to move forward with research on and development of new sensing technologies. Is the world's first 5G network going to be in New Jersey? Microchip Technology has booted Dialog Semiconductor out of its deal to buy Atmel with a lower offer but more cash. Microchip today signed a definitive agreement to acquire Atmel for $8.15 per share in a $3.56bn combination of cash and shares. This compares to the $4.6bn offer from Dialog, although Microchip's cash offer of $7 a share is significantly higher. This potentially puts Dialog at risk of being acquired itself. A $137m termination fee will help, but still leaves Dialog vulnerable in this time of manic mergers. "Our Board of Directors determined, after consultation with our financial advisor and outside legal counsel, that the transaction with Microchip is a superior proposal for Atmel's stockholders under the terms of our merger agreement with Dialog Semiconductor plc that we terminated today. Under the Microchip transaction, Atmel stockholders will receive a much higher cash consideration per share compared to the Dialog deal, as well as the opportunity for further upside through the ownership of stock of Microchip," said Steven Laub, President and CEO of Atmel. Microchip bought Micrel in May last year, and this deal takes out Atmel as a major competitor, consolidating customer business in Microchip as there was more common product lines between the two compared to the Dialog deal (as in the chart on the left). The combination of Atmel and Microchip will have revenue of around $4bn (compared to $3.5bn for the Dialog/Atmel combination), and this will lead to similar estimated cost savings of $170m from April 2018. However, the deal still needs to be approved by Atmel's shareholders, so its not a done deal yet. "We are delighted to welcome Atmel employees to Microchip and look forward to closing the transaction and working together to realize the benefits of a combined team pursuing a unified strategy. As the semiconductor industry consolidates, Microchip continues to execute a highly successful consolidation strategy with a string of acquisitions that have helped to double our revenue growth rate compared to our organic revenue growth rate over the last few years. The Atmel acquisition is the latest chapter of our growth strategy and will add further operational and customer scale to Microchip," said Steve Sanghi, President and CEO of Microchip. The transaction has been approved by the Board of Directors of each company and is expected to close in the second quarter of calendar year 2016, subject to approval by Atmel's stockholders, regulatory approvals and other customary closing conditions. Despite years of problems, passwords remain the major vulnerability for systems and that is set to get even worse with the smart home and the Internet of Things. Webcams and other smart devices are frequently compromised by weak passwords. "Given all the recent and historical news on data breaches of personal e-mail accounts, social media accounts and even phone account passwords, it is every wonder therefore that we are still using password combinations that are incredibly easy to guess," said Richard Cassidy, Technical Director for Europe at Alert Logic. "The challenge is Cyber Criminals are well aware that many of their targets still fail to employ a strong password policy and as such will “pre-load” their dictionary attacks for brute-force access with the combinations listed; which in turn means almost instant access to a substantial number of users personal data. Passwords such as these are dangerous because they are the first attempted combinations in the arsenal of attackers brute-force access tools." "Unfortunately however, even with complex passwords we are almost fighting a losing battle; this is because cyber criminals can access botnet ecosystems to crack encrypted files or password protected data (through hashes of the password, or direct brute force attack) or make use of underground “cracking rigs” that use GPU’s Processors in rigs that can quite literally attempt billions of combinations per second. This means your average 8 character password (mandated by many online systems today) can be cracked in days. A great deal of research has gone into the minimum password length recommended; all users should be choosing passwords of at least 12 characters (alphanumeric with special characters) that are completely random and that would challenge even the most sophisticated decryption rigs for service out there on the cyber criminal underground," he said. Overall there are two approaches to protecting your data, says Cassidy. First is access to data stores (e-mail, social media, online file sharing) with a minimum of 12 character passwords and second, encrypted key data files with strong cipher algorithms. Part of the challenge is devising and managing passwords, says Andy Green, Technical Specialist at Varonis. “People are bad at coming up with their own passwords," he said. "For convenience, we make them obvious or short or both. Hackers are good and getting better all the time at breaking them, either though brute force guessing or dictionary-style attacks if the hackers have access to the password hash. Keep in mind that a password with only six characters can be one of around 200 billion combinations – not a large number in the current era of big data. By increasing your password by only two characters, you’ve increased the possible combinations to almost a quadrillion – which will result in a serious computation challenge for attacker. 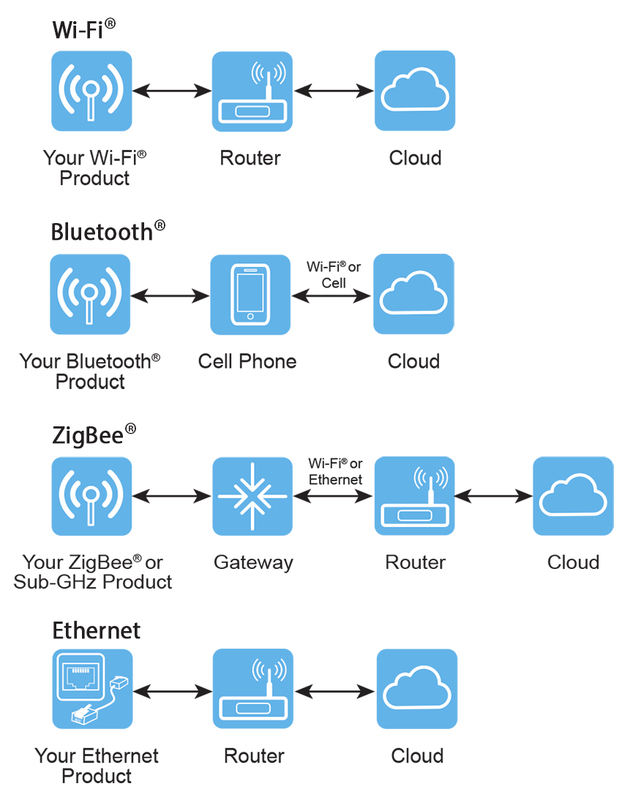 Homing on Smart Home Security? When was the last time you forgot a password? how to change domain password policy. Qualcomm and TDK have formed a joint venture for RF front-end (RFFE) modules and RF filters into fully integrated systems for mobile devices and fast-growing business segments, such as Internet of Things (IoT), drones, robotics, automotive applications and more. Majority owned by Qualcomm, RF360 will be nominally based in Singapore with its headquarters in Munich, Germany, and combine TDK’s capabilities in micro-acoustic RF filtering, packaging and module integration technologies and Qualcomm’s expertise in advanced wireless technologies to serve customers with leading-edge RF solutions into fully integrated systems. In addition to creating RF360 Holdings, Qualcomm and TDK will expand their collaboration around key technology fields, including sensors and wireless charging. Module solutions will be essential to supporting this increasing complexity in the RF front end, with support for dozens of frequency bands for 2G, 3G and 4G LTE, while offering connectivity for wireless LAN, satellite navigation, Bluetooth, and more. In addition, the convergence of 4G mobile communications and the IoT means that manufacturers of wireless solutions for mobile IoT devices must achieve new levels of miniaturization, integration and performance as well as add in 5G frequencies. RF360 and QTI will design products from the modem/transceiver to the antenna in a fully integrated system using RF360's filters and filter technologies, including surface acoustic wave (SAW), temperature-compensated surface acoustic wave (TC-SAW) and bulk acoustic wave (BAW) to support the wide range of frequency bands being deployed in networks across the globe. 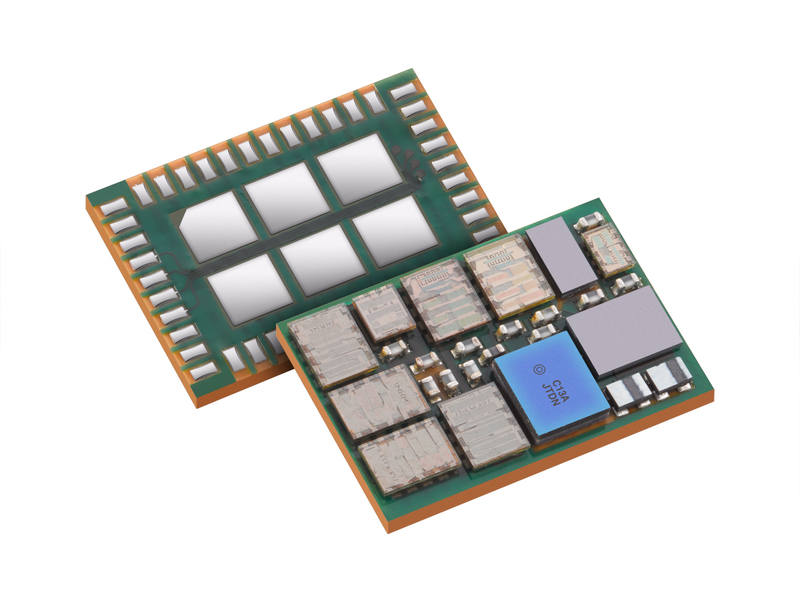 RF360's modules will also include front-end components designed and developed by QTI using CMOS, SOI and GaAS Power Amplifiers, switches enhanced via the recent acquisition of Antenna Tuning and Envelope Tracking for power optimisation. RF front end modules are a $18bn market by 2020, and even though TDK is a major player shipping over 25 million filter functions per day, it still is only $1bn of this. It holds design wins at all major handset OEMs, including leading premium tier smartphones, and TDK and RF360 say they are are committed to investing in capacity increases to meet the growing industry demand. In addition to the joint venture, Qualcomm and TDK have agreed to deepen their technological cooperation to cover a wide range of cutting-edge technologies for next-generation mobile communications, IoT and automotive applications, including passive components, batteries, wireless charging, sensors, MEMS and more. The UK government is to provide up to £10m a year until 2020 for a new Compound Semiconductor Applications Catapult centre in Cardiff, Wales. Compound semiconductors such as gallium arsenide (GaAs) and gallium nitride (GaN) are central to development of the 5G network with standards such as WiGig, new high-efficiency LED lighting, power electronics for the next generation of electric vehicles and new imaging techniques for a variety of uses from security to health diagnostics, with the global market for compound semiconductors expected to be £125 billion by 2020. The centre aims to develop new technologies to make compound semiconductors easier to manufacture and design into equipment. The centre is backed by wafer maker IQE and Cardiff University who set up the £20m Compound Semiconductor Centre, which will form a key resource to the new Catapult. The partnership will help transform leading edge research at Cardiff University’s new Institute for Compound Semiconductors (ICS) to be built on the University’s new £300m Innovation Campus. “The launch of the £50m Compound Semiconductor Catapult will help provide the critical mass to launch the first Compound Semiconductor hub of its kind in the World, taking great academic research and seamlessly turning it into high-volume manufacturing, securing a global industrial and manufacturing platform for Wales and the UK,” said Dr Drew Nelson, CEO and President of IQE. They are overseen by Innovate UK and join entrepreneurs, engineers and scientists with state-of-the-art facilities that allow them to create new products and services.